Making the decision to get a divorce is never easy, but sometimes it is the only way troubled spouses can secure future happiness for themselves and their children. 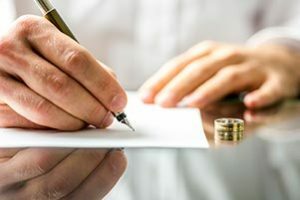 There is no one-size-fits-all approach when it comes to dissolving a marriage, but generally speaking, the less the parties agree upon the terms of their possible future settlement, the more likely it is that a divorce will proceed to litigation. Regardless of your circumstances, a knowledgeable Vancouver divorce attorney can help you understand what’s at stake. There are a number of serious issues central to any divorce, including alimony and property division. When a couple has children, questions regarding support and custody become paramount. However, the first question in any divorce is whether or not both parties want to dissolve the marriage. When a divorce is uncontested, the process can generally be handled outside of court — assuming, of course, that both parties are in agreement regarding the terms of their settlement. One of the primary responsibilities of any divorce lawyer is to try to coach both spouses toward a mutually acceptable settlement that keeps them both out of court. However, if an uncontested divorce proves impossible due to an inability to communicate respectfully, the matter may be headed to court. This is known as a contested divorce. In a contested divorce, each spouse is represented by their own divorce attorney and each side advocates for their desired outcomes in court. The judge will attempt to establish an equitable divorce settlement based on the testimony of the spouses and the evidence presented by their lawyers. Unfortunately, it’s rare for both parties to leave satisfied with the terms of a court-ordered settlement. If you are involved in a contested divorce, you need an experienced and aggressive yet compassionate family attorney who will fight to get the best possible settlement for you and your children. When there are a lot of assets involved, things tend to get pretty nasty. In a so-called “high asset” or “professional” divorce, legal representation isn’t simply recommended, it’s borderline necessary. Although legal fees can add up quickly during a professional divorce, the added expense can be worth it when couples are faced with decisions regarding shared retirement accounts, stock market investments, savings accounts, and insurance policies, as well as jointly owned businesses, property, and/or vehicles. The spouse who comes out on the losing end of such a settlement often loses a great deal of property and/or assets. Attorney John Davis possesses extensive experience in other areas of law that become highly relevant in high asset divorce cases. Prior to launching his legal career, Mr. Davis was a licensed realtor and therefore is intimately acquainted with real estate law. Furthermore, as a business owner himself, he is also extremely knowledgeable about the intricacies of running a business and how they fit into divorce proceedings. Why choose an attorney with mere family law experience when you could retain a lawyer with comprehensive family, real estate, and business law expertise? We can assure that all your needs will be met and that all relative pitfalls and opportunities are strategically factored into your divorce representation. John L. Davis PLLC helps Vancouver divorce clients navigate the emotional complexities of divorce, as well as the practical and professional aspects of marital dissolution. Call Mr. Davis today at (360) 597-4740 to schedule your free 10-minute initial phone consultation.